Although the genetic counselor workforce has grown by 88% in the past 10 years, a 2016 supply and demand report confirmed that the US is currently experiencing a shortage of genetic counselors engaged in direct patient care (Hoskovec et al., 2017). In response, there are a variety of efforts underway through the genetic counseling national organizations (NSGC, ACGC, ABGC, and AGCPD) to address the workforce needs, such as increasing the number and size of training programs, evaluating and revising the standards of accreditation, expanding eligibility pathways for the ABCG certification exam, and collaborating with other genetic services providers. This webinar will address these efforts and present opportunities for attendees to get involved. MaryAnn Campion received a B.S. in Psychology from Furman University and an M.S. in Genetic Counseling from the University of South Carolina. She has a doctorate in Educational Leadership and Policy from Boston University, where her dissertation focused on mid-career faculty vitality. She was the founding director of the Master’s Program in Genetic Counseling and Assistant Dean in the Division of Graduate Medical Sciences at Boston University School of Medicine until 2016. 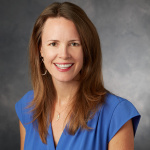 Since that time, she has served as co-director of the Master’s Program in Human Genetics and Genetic Counseling at Stanford University and Consultant on Genetic Counseling Professional Practice at Stanford Children's Health. Her previous clinical career centered on prenatal genetic counseling, working in that capacity for three years with the Greenwood Genetic Center and 12 years at Boston Medical Center, and she is now working in the Stanford Down Syndrome Clinic. Her research has concentrated on faculty development in academic medicine and the translation of genomics into public health. Her interest and expertise in genetic counselor education has been further enhanced by serving as a consultant on strategic planning and organizational analysis for genetic counseling training programs and through her roles as chair of the AGCPD New Program Development Sub-Committee and the ACGC Standards Committee, which is charged with monitoring, evaluating and revising the Standards of Accreditation for Graduate Programs in Genetic Counseling. She is also NSGC President-Elect for 2020. Tripti Paudyal graduated from Oklahoma State University with a Bachelor of Science in Cell and Molecular Biology and earned her Master of Science in Genetic Counseling from the University of Oklahoma. After she graduated, Tripti joined Texas Oncology in El Paso, TX, where she was the only genetic counselor in the whole city. Tripti established the cancer genetics clinic at Texas Oncology, El Paso and also helped to start a high-risk breast clinic. 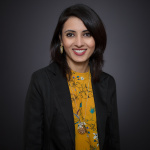 Tripti joined Ambry in 2015 as a General Genetic Specialist first then soon transitioned to Oncology Genetic Specialist and covers the state of Texas. She also leads Ambry’s speaker’s bureau.